On May 15, consumers in 600 locations in eight provinces and cities across China, including Beijing, Shanghai, and Guangdong, were given access to free professional nutrition advice courtesy of PepsiCo, one of the world's largest food and beverage companies. PepsiCo, through its Quaker brand, partnered with the Chinese Nutrition Society (CNS) to give Chinese consumers access to good nutritional advice during the second annual National Nutrition Week, which runs from May 15-21. Under the partnership, Quaker and CNS will advocate scientific health and nutrition concepts and promote a balanced and nutritious diet in keeping with the national health goal of "enjoying healthy life with good nutrition every day." 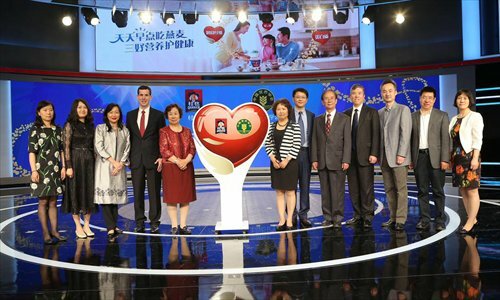 Michael Lindsey, the general manager of Nutrition Category and Commercialization of PepsiCo Greater China (GCR), and Yang Yuexin, the president of CNS, jointly launched the partnership. Citing PepsiCo's commitment to providing a variety of healthy and delicious food and beverage products to consumers, Lindsey said since Quaker's entry into the Chinese market in 2004, the oats products of Quaker have become an indispensable part of millions of households. "Quaker attaches great importance to nutritional education, and PepsiCo hopes that through the promotion of Quaker's three advantages of oats: heart health, intestinal health, and energy fuel, more Chinese families can recognize the nutritional value of whole grains and Quaker Oats," he said. "We hope that, under the guidance of scientific nutrition studies and in partnership with CNS, we can improve the nutrition of millions more Chinese households in the years to come." Yang spoke highly of the cooperation with Quaker Oats and commended PepsiCo for playing an active role in promoting education and whole grain nutrition. Yang recalled the China Foundation for Poverty Alleviation and PepsiCo's Quaker brand joining hands with CNS in launching a charity program themed PepsiCo Nutrition in Action in 2015. The program provided nutritious meals for schoolchildren in poor areas of Zhaotong, Yunnan Province. She said the program, which was aimed at helping to strengthen the children's physiques and promote good health and nutrition practices among the youth, achieved positive results. "We welcome companies with a high sense of social responsibility to proactively partake in the activities of national nutrition and health to make contributions to [the national program of ] Health China," said Yang. 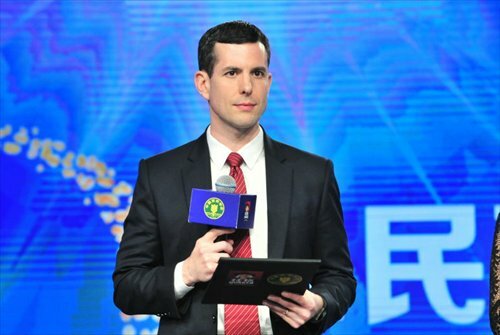 "We hope to spread nutrition knowledge to more Chinese families and to unleash a new chapter in the promotion of and education about balanced diets for Chinese residents." In recent years, the changing lifestyles of Chinese residents have led to imbalanced diets and inadequate intake of whole grains. According to the Chinese Dietary Guidelines (2016), on average adults should have between 50 to 150 grams of whole grain per day. However, according to an authoritative survey titled the Coarse Food Intake among Chinese Adults, more than 80 percent of Chinese adults do not meet the standard. In fact, in the last 30 years, cereal consumption has decreased in Chinese residents' dietary patterns, while animal food and fat intake has increased year on year, resulting in excessive calorie intake. Over-refinement of cereals has also led to both the loss of and the inadequate intake of B vitamins, minerals, and dietary fibers. All these factors may increase the risk of many diseases. At the event, Liu Feng, the associate director of PepsiCo GCR's Nutrition Research, provided a comprehensive analysis of the positive impact of Quaker Oats on health. Rich in carbohydrates, whole grains are not only the most economical source of the energy needed by the human body, but it also provides B vitamins, minerals, dietary fibers, and protein, he said. Oats also play a significant role in ensuring proper growth and development in children and adolescents, and eating whole grains helps to reduce the risk of diet-related chronic diseases such as type 2 diabetes, cardiovascular diseases, obesity, and tumors, he said. PepsiCo plans to extend the exercise after National Nutrition Week until June 15.